My colleagues who travel to Bangalore more often that I do, have been bitten by the 'Eating Out' bug. Since they don't have a Bangalore Foodie blog, they have started eating out in new places and when I go to Bangalore, I am told what places to try! Ha. Yes. So this time, a couple of days before I went there, they had eaten at this place, they called ESCAPE and were dying to show off their find! So we landed at Indira Nagar 100 feet road and took a left somewhere and I was dragged into a small boutique hotel! As I learned later, the name was Bricklane Grill, a rooftop restaurant inside Escape Hotel. I loved the outdoor setting! It takes you on a white holiday and with a swimming pool located right at the edge, the ambiance has been created with a lot of thought! Being a weeknight, it was rather empty when we went and so we got seated in a very comfortable couch right next to the swimming pool! They looked disappointed that we didn't order alcohol and we had a couple of hours to kill before taking our transport back to Chennai! We started of with a very good, but slightly oily, chicken wrapped in spinach starter. 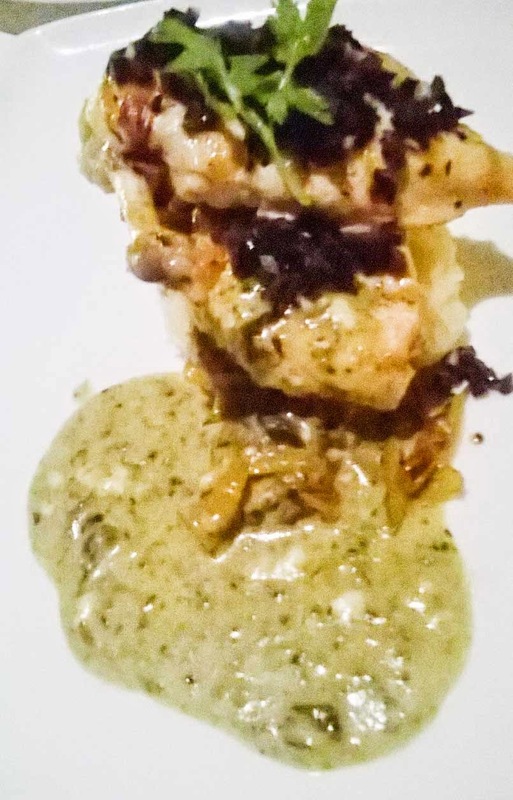 This was followed by an excellent grilled chicken with a super smooth mash that we all loved! 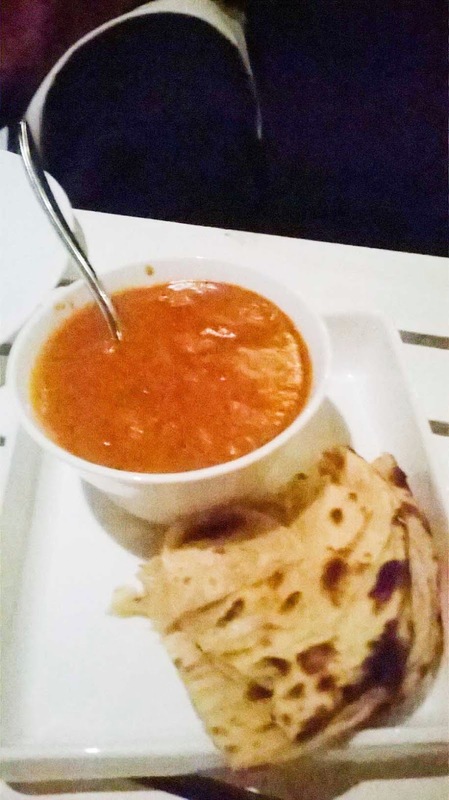 There was set meal with chicken tikka gravy and naans that was very average and had nothing to write home about. 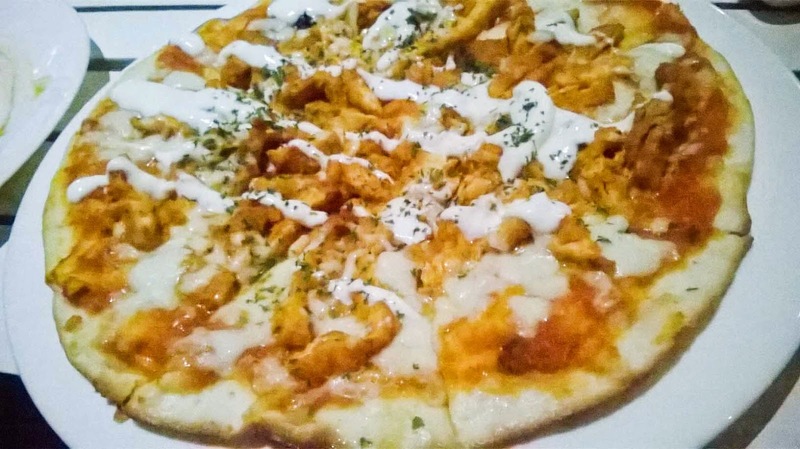 The pizza was very interesting on the board; a spicy chicken with sour cream, but while the chicken was very spicy, the cream wasn't very sour and so though we liked the pizza, it wasn't what we expected. We finished off with an excellent value for money dessert; a platter for Rs. 125. Apparently they had an offer running and we were lucky! 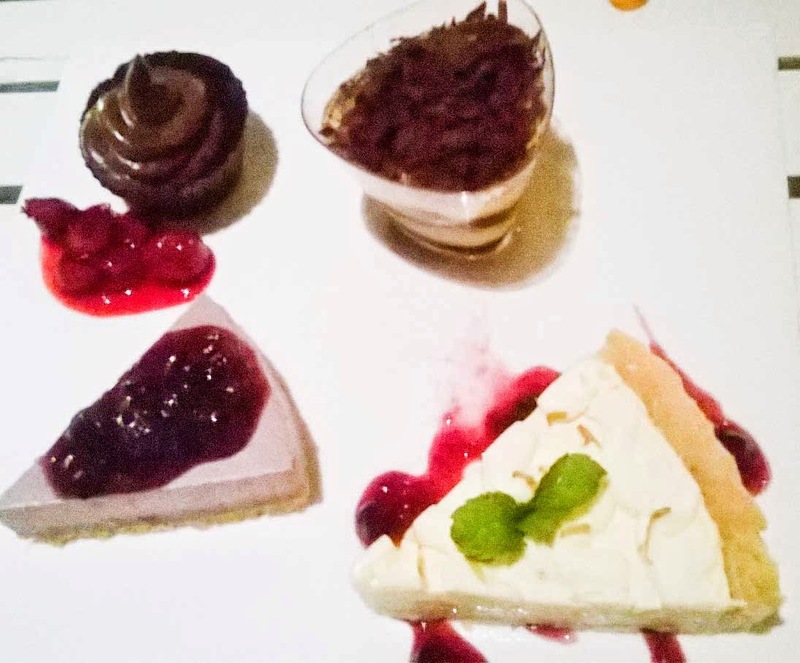 Among the four, the lemon cheese cake was a kicker, followed by the chocolate with strawberry compote, while the tiramisu and the mousse cake were good too! We paid Rs. 1730 for the three of us and were pretty satisfied with the meal. The ambiance here is the clear winner and though the food doesn't match the ambiance, it serves as a very good grill with a variety of food to choose from! Bricklane Grill is located inside the Escape Spa Hotel at Indira Nagar, off the 100 feet road.